The glass half-full view of the Tigers suggests they are in first place in the American League Central, are on pace to win 90 games and have won three of their last four. The glass half-empty look is the Tigers have lost 16 of their last 23 games, have seen their lead in the AL Central dwindle to a precarious 1 1-2 games, and even on the days and nights they win, it isn't very comforting. The Tigers' bullpen has gone from shaky to brutal. Their flaws offensively have become apparent. This town has usually laughed at the Kansas City Royals for their perpetual rebuilding and thought every year is going to be the season it will finally pay off. The Tigers have, too, routinely slapped down the Cleveland Indians in recent years, and enjoyed the benefit of watching the Chicago White Sox and Minnesota Twins self-destruct before their eyes. But Kansas City won 88 games last season and Cleveland 92. They both got off to slow starts this season, but have moved to .500 or better. The Royals have won seven games in a row heading into a four-game series against the Tigers at Comerica Park beginning tonight. If they beat the Tigers the next two nights, the Royals will be in first place. Then, the Tigers move onto to Cleveland for a three-game weekend series. It's early, sure, but these are seven very important games. They are far more important than we could have possibly imagined when the Tigers were seven games up and rolling with a 27-12 record. Are the Royals to the 2014 Tigers what the 2013 Indians were - The Tigers are 5-0 against the Royals this season. Last year, they were 15-4 against the Indians, who ultimately ended the season just a game behind the Tigers. How much does a stellar bullpen really mean - The Tigers bullpen is the worst in MLB with a 4.80 ERA. Closer Joe Nathan's struggles have made it an alarming area. Kansas City's bullpen was the best in the AL last season, and is 11th in MLB this season with a 3.44 ERA. Royals' closer Greg Holland is outstanding. 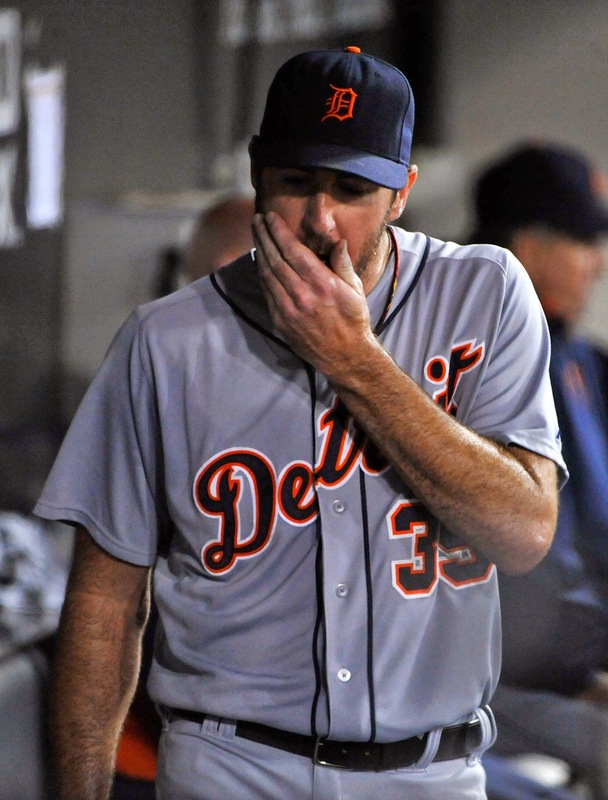 Can Justin Verlander and Max Scherzer dominate when it is desperately needed - Verlander is going through another funk, and the Tigers need him to snap out of it sooner instead of later. He gets two starts in these key seven games, including tonight. It's a test of whether he still merits his "ace" status, and whether he still ranks among the very best starting pitchers in baseball. Verlander's dominating performances in the '13 postseason seem like a distant memory at this stage. Torii Hunter: Is father time finally catching up? Scherzer did answer that question with a stellar performance at Chicago last week, but it must continue. He gets the start Tuesday vs. KC and in the what could a very important series finale at Cleveland Sunday. 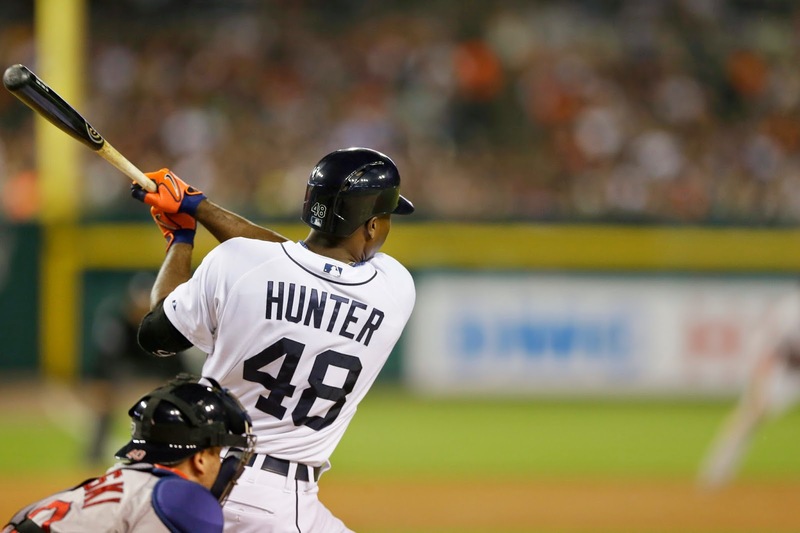 Is age catching up to a couple of the Tigers' key players - Nathan is 39, Torii Hunter is 38. Both are off to a bad starts. Nathan's performance speaks for itself. Even when he avoids disaster, it's not because he's been impressive. Hunter's on-base percentage has fallen precipitously to .289, and his WAR has dropped to minus 1.2 (baseball reference version), which makes his Sabermetrics stats among the worst in the AL. Pat, always thought Hunter and AA played too much. With having 4 OFs and Dirks on the way back. They also have Carrera which was a great pick-up with 27 SBs, very good D that can play RF and swing from the left side. DD needs to put him on the 40 man roster next year. They should market one of their OF and Perez for a solid reliever and not necessary a closer either.